Cool poll over at Pace Advantage: Which would you rather bet on? High quality horses in races with short fields or low quality horses in races with full fields? At the time of this posting, over 88% of voters chose full fields. I'm not surprised full fields is preferred, but the margin is a bit of a shock. Takeout and track surface are also factored in big time by bettors, and that explains why Woodbine, with their big fields, fails to attract significant betting. Looking at Woodbine's recent pathetic handles I have to wonder if they just need to go back to the drawing board and start over. With the fabulous purse structure they have, the near monopoly on horse race gambling they have in Canada as well, it is inexcusable to have handle numbers that range between $1.2-$1.6 million on Wednesday's and Thursdays. Even $2.5 million on Saturdays isn't anything to brag about either when compared to A tracks like Keeneland. If not for slots, Woodbine would have been bankrupt a long time ago. Their leadership needs to go. They have killed a great game. What good do $1 million dollar races at Woodbine do? They do have a couple of $5 million handle days thanks to them, but when you analyze things, they actually lose money on those days. Are those days good for the Canadian economy? Not really. Most of the purse monies are grabbed by non Canadian outfits shipping in horses and the money leaves the country. Does it help the Canadian/Ontario breeding industry? Nope. The horses that end up with the big money rarely have an ounce of Canadian blood in them. How about creating more bettors? There is absolutely no evidence that new bettors have been created. Since Willmot took the reigns, very few new bettors have been created in Ontario. In fact, many older bettors have either died or took their business elsewhere. And if one looks at the handle numbers right before or after the big races, there is no apparent change when it comes to creating new business. Besides drastically lowering takeout, Woodbine would be best advised to knock it off with the extraordinarily high purse paid out in their biggest races, and use their resources to attract and sustain Canadian outfits. Woodbine gives out too much to allowance runners as well (5 horse fields running for $100,000 purses aren't worth it as they attract little to no betting). Woodbine should give out more money to lower end claimers, allowing new local owners/partnerships (Ontarians) a shot to make money and build a stable. Inevitably, these new owners will come to the track more, expose more friends and family to horse racing (taking them out to the track when their horses run). They will also be more inclined to buy yearlings (thus helping the local breeding industry). Like bettors, owners are more apt to play a lot longer the more money they receive each time they are victorious. Delaware ran 27 less days this year, but their total handle (not daily, total) was up. Speaking about those who don't give out their signal to everyone and also withhold their video, where are Belmont's final numbers? My guess is the that the boys at NYRA are scurrying around looking for viable excuses so they have a shot at keeping their jobs. Fort Erie handle dropped around 10% this year. Field size was up from last year to 8.2 horses a race from 7.7 a race last year. They gave out 5% less in purse distribution in 2009. There was no mention regarding whether they ran significantly less races in 2009. I do remember quite a few 10 race cards last year on Mondays and Tuesdays, and I'm inclined to think that the 5% drop in purse distribution is in line with 5% less races. This would account for some of the drop off. Fort Erie is very good about distributing their signal to all tracks and ADWs, so exposure isn't the issue. And players like races that have bigger field over quality, so that definitely isn't the issue. The biggest factor could be public awareness of takeout. Thanks to HANA and blogs like mine, the public is becoming more and more educated as to why they aren't lasting long when they play the ponies. Fort Erie, like Woodbine have ridiculously high takeout rates. See the HANA takeout chart here (it is not 100% up to date, but it is close). Fort Erie, has the highest takeout rate in North America for exactors and doubles. It is 26.2%. Besides educated players avoiding the track because of this, rates like this kill off people who don't even have a clue about takeout. When you send players home with less money, they are less likely to come back anytime soon. Slot operators generally payout around 92%. In Ontario, slot operators are allowed to payout between 85-98%. They generally payout around 90-92%. Why not 85%? Because, slot operators have historically found that anything over 90% has a negative impact on future slot earnings. Players don't last long enough to make their experience enjoyable enough. They go less, and when they go less, they are less likely to bring friends or family along the odd night, possibly creating a new slots customer. Here is a pretty current slot payback chart by state. If Fort Erie doesn't open next year, the Welfare Offices could be getting a lot of extra business. There is no doubt that Fort Erie's closure would have a tremendous negative impact in Fort Erie and its surrounding area. The more I think about it, Ajax Downs can't be the solution when it comes to where B horses will race next year. Without a backstretch, it would be just too impractical. Costs to ship to race or workout, coupled with the cost to train a horse off a farm (which also makes it difficult to get a horse to 100% race fit, and gives Woodbine shippers a insurmountable edge), will probably cause many owners to leave the game. September 21,1992. It is important to note that back then, the government was making around 9% on every dollar bet (this has now been reduced to 1.3%, probably with this study in mind, as it was known in advance that slots would cannibalize horse racing). hard as shown by the plight of the 95-year old Fort Erie racetrack owned by the OJC. Fort Erie has been losing $2 million per year for the last five years. The OJC was able to sustain these losses for a period of time as its other operations produced sufficient revenues to subsidize these losses. They were forced into a position, however, to close the Fort Erie operation unless assistance was received from other participants. An arrangement with the provincial government was reached at the end of July which is expected to provide the OJC with an additional $1.5 million by way of a tax rebate scheme. It has recently been announced that smaller operations will receive a proportionately larger tax-rebate from the government in order to survive in the current recessionary environment. If the government increases competition for these tracks by introducing new forms of gambling, it is likely that further government assistance will be required if significant track closures are to be avoided. It was estimated by the OJC that closure of the Fort Erie track would have meant a loss of 4,500 jobs and a loss of payroll for the community of $38 million. Bottom line, precedence has been set with respect to the government bailing out Fort Erie. Trainer Michael Osborne was caught by Woodbine security in the receiving barn with a loaded syringe. After analyzing the substance, the "liquid in the syringe to be n-butanol and ethanol both alcohol, a Class 2 medication." This brings up at least a couple of concerns. I doubt that this mixture shows up on a test, yet it a Class 2 medication, so why don't they test for it? I'm always of the mindset that when someone gets nailed like this, whether it is a trainer will an illegal substance or a drug dealer getting nailed by the RCMP, there are thousands of instances when the trainer or drug dealer is not caught. Some are never caught. In my view, Osborne was just unlucky he got nailed. The odds were totally against him getting caught. So this boils down to one key question: Are the penalties in place right now enough of a deterrent to stop the cheating? My answer is NO. 9 months definitely will hurt anyone financially, but the time goes by pretty quickly. 3 years, would probably do the trick. I don't know if any trainer would risk that? Of course, if these drug violation were treated as they should be by the courts, and criminal charges were laid (defrauding the betting public), we might find a lot more honest trainers in the backstretch. Trainers will adapt. But with so many trainers getting away with drug concoctions in the backstretch, even the honest ones need to compete to stay in business and they are tempted to cheat as well. Give almost any trainer a blue pill, and tell them it won't test and you can expect an enhanced performance from the horse, and 99% of the trainers would be giving the horse the pill...at least that is how I see it. Equibase just unveiled a consolidated horse search. This allows anyone to type in the name of a race horse, and then view, for free, any of the race charts for that horse all the way back to 1999. Or you can view it 5X Pedigree for free as well. It also links to pay services as well. Simply go to the Equibase home page and you'll find the box that will get you going. You can also look up a broodmare's race record, and if she raced from 1999, see her actual charts race by race. Equibase also recently did the horseplayer another great deed with a new and improved way for players to get up to the minute scratches, jockey changes, and surface changes. Every player needs to bookmark this page. It is an excellent resource. ARE YOU CLOSE TO MAKING MONEY BETTING THE PONIES? Open up a free account with Horseplayersbet.com and the rewards might just push you into positive territory. 100% Parimutuel (Your bet goes right into the racetrack's betting pool). Free Video for active players. Excellent Player Rewards Program. Free replays coming soon. 20% Match On Your Initial Deposit! (That is almost equivalent to betting the horses with a 0% track takeout). Open an account and receive a 20% match on your initial deposit! Restricted to new customers only. Customer must play at least their initial deposit amount within 14 days of opening the account. Maximum deposit eligible for promotion is $1000. This promotion is not to be combined with our excellent standard rewards program which will begin after the initial deposit amount is wagered. Other restriction may apply. Please Note: Horseplayersbet.com is not available to Canadian residents. The bill (Bill 517) by Sen. Dean Florez (D-Shafter) allows a thoroughbred association or fair to increase the amount it deducts from horse-race wagering. It also provides the groups more flexibility to spend the money on improvements, including the purchase of tracks and training areas, and allows winnings that are more competitive with those offered in other states. Legislative analysts estimate that a 5% increase in the amount taken out of wagers would generate $200 million annually for the horse-racing industry. This just goes to show how out of touch with reality governments are when it comes to horse racing. They are assuming that $4 billion that is now being bet will remain to be at least $4 billion bet. They have no idea what churn is, and how that $4 billion may turn into $3 billion if takeout in California rises a full 5%, which would lead to a bottom line decrease to the state and to the racetracks. "How does this actually help the racing industry? Bettors don't have bottomless pockets - if they lose their money faster, the total pie gets smaller and these players give up and go home. A bigger chunk of a smaller pie will be worth far less than a small chunk of a bigger pie. Yet again, wagering laws decided by people who have never placed a bet, or have certainly never tried doing it seriously. Basic economic theory of elasticity of price applies here." Upon doing a little more digging, this bill doesn't mean that takeouts have to rise. Thanks to Equidaily for posting the actual old bill and the new revised bill to help clear the air. In a nutshell, California had the 10%-25% takeout limits prior to the signing. But what this new bill does is give the power to the racetracks to be able to raise, or even lower takeout without any red tape from the government. The only hurdle standing in the way of a takeout change is the California horsemen groups. They have to approve any changes before changes are made. However, after reading the politician's take on the bill in the LA Times article, I would have to say that this was signed with a takeout increase in mind. As for the Horsemen Groups veto. Don't count on it. In Ontario, racetracks have had the same powers California tracks now have. They can raise or drop takeout without red tape. However, horsemen groups stand in the way here when it comes to growth through lower pricing. The reality is Woodbine has noted that the horsemen agreement actually stands in the way of a takeout decrease as they get an additional 2% on all bets placed and an additional 4% on triactors. What that means is if we look at the old takeout for triactors at Woodbine, the government got 1.3% out of the 28.3%, Woodbine received 11.5% (42.6% of the amount of takeout available to horsemen and track), the horsemen received 15.5% (57.4% of the available takeout money). Theoretically, if Woodbine were to drop their takeout to 21.3% on triactors, the agreement would make it so that Woodbine would get 8% (only 40% of the amount of takeout available to horsemen and the track) and the horsemen 12% (60% of the amount of takeout available) on all triactor bets made. If takeout were to decrease even more, the ratio the track gets would decrease even further. It is the horsemen who are unwilling to renegotiate this contract to make it more equitable. This also has implications on rebates given to its customers. The horsemen group is double dipping here because the rebates come from the track's money. When the rebate is churned, the horsemen get a cut on that money too. In other words, horsemen groups don't help the game when it comes to lowering takeout and allowing the game to grow. Maybe the horsemen groups need to be educated more on the matter. Gambler's Book Club recently put up a podcast of an interview with icon handicapper/author Steve Davidowitz (click here, and then click the "Listen Now" button on the top right). At around the 8:30 minute mark of the interview, Davidowitz is asked about track takeout. He said there was a secret study done around 20 years ago (who knows, maybe it was 30 years ago) where takeout was changed from 14% to 17% and back again for a couple of years (Note: he didn't mention what track or tracks participated in this study). He did however state that the results were that when tracks lowered takeout, handle increased, and when they upped it, it dropped. In the long run, tracks made more money with the lower takeout. To be honest, I never heard of this study until I heard the interview. But all one has to do is look at the success of Betfair to show that by allowing players to last longer, the players all of a sudden become more obsessed. Obsessed with the idea they can win, and the fact they last so long, it really kills other competitive forms of gambling in that player's life, not to mention it also increases the likelihood that the player will expose others to his or her obsession. I can tell you for a fact, that the reason most players stop betting is that they run out of money. That has always been the case. But when you consistently run out of money too quickly, you increase your already negative expectations of the game (even if this is done on a subconscious level). This is the reason why slots take out an average of around 10%, not 20%. When horseplayers sit on the sidelines, they lose interest in horse racing. And very importantly, they wind up not exposing new people to the game when on the sidelines. The last track I know of that raised takeout was Calder back at the start of 2008. Calder recently had to slash purses. Now, instead of dropping takeout, the track has decided to put its effort into promoting its casino. Personally, I have not bet on a Calder race since the takeout increase was announced. If one track were to close tomorrow, I would like it to be them. This bill does not in itself change takeout rates. However, we are obviously concerned by the implications and the tone of the press releases. HANA, on behalf of horseplayers everywhere, is currently seeking further information as to any immediate consequences from this change of law. HANA is extremely dismayed to see the same false economics continue to be thrown about, that suggests prices can rise while sales remain constant. A price increase would obviously only have one effect -- to further accelerate the mass exodus of players and their wagering dollars from this game. To help HANA out, please become a member (it is free and will take you a minute to fill the form), and if you want to contribute to the cost of the ad campaign, feel free to donate here. Despite the efforts of the HBPA and the Fort Erie EDTC, the likelihood that live racing will happen at Fort Erie in 2010 is very dim. Ontario HBPA President Sue Leslie paints a rather grim picture when it comes to the potential sale of the track. "Negotiations regarding the sale of Fort Erie Racetrack are stalling. In our observations the offer made to Nordic Gaming are not in line with their expectations in terms of the racetracks value." What value? Nordic claims they are losing $3-4 million a year. And the business isn't looking any brighter. Their handles lately have been brutal. They appear to be off around 20% of late at least. Note to Nordic: You can barely give away a business that loses millions a year. Nordic Gaming doesn't care about that fact. They continue to ask for prices way above the market. If it wasn't for pure "extortion" this year, there would have been no racing at all. There was government money lying around ($2 million that was supposed to go towards a feasibility project for the smoke and mirrors $300 million expansion) to give away to Nordic. There is no more money left (Nordic has it all), so there are few options left in order for racing to happen at The Fort next year. 1. Nordic sells the track. Won't happen without a government bail out, as Nordic always want way too much. 2. Fort Erie doesn't open next year for racing. This will crush the already down and out breeding and owning businesses in Ontario. Right now, because of the uncertainty going forward when it comes to B racing in Ontario, there is no claiming going on at Fort Erie, and it is nearly impossible to give a horse away. If there is no out in Ontario for horse owners, demand for Woodbine horses will also get hurt. For one thing, less Fort Erie horsemen means less demand for claimers at Woodbine, and without Fort Erie, there is greater risk claiming one for $12,500 to $20,000 than ever before. If the horse isn't competitive for Woodbine bottoms, the owner pretty much has to ship the horse to the States, and many owners don't want that hassle, and they want the option at least, to watch their horse run live. The HBPA is now pushing for slots to close if the track isn't open. This could be a great wake-up call for Nordic Gaming if it does happen. It will definitely motivate them to sell, and probably at a very realistic price. 3. Woodbine steps in and leases Fort Erie for $1. They assume all losses for the near future. This does make business sense if Woodbine's goal is to grow horse racing in Ontario and not to kill horse racing in Ontario. But I'm not sure that this is the case. As stated above, if there is no B thoroughbred track in Ontario, breeders will get clobbered as owners continue to become fewer, this time at an accelerated rate. 4. Ajax Downs runs 50-70 thoroughbred dates. This is looking like the most likely scenario. They will have a five furlong track ready to go for 2010. The only stumbling blocks are a rumoured horsemen's agreement where Quarter horsemen were promised that there would be no thoroughbred racing at Ajax through 2010. Contracts can be broken, because everyone has a price. The big negative when it comes to thoroughbred racing at Ajax is the fact they literally have no backstretch. There usually isn't room at Woodbine for B horses, so training B horses off a farm and shipping them in for race day, becomes very expensive and problematic. 5. The government (Finance Minister Dwight Duncan) buys into the Fort Erie EDTC's plan. I'll simplify the plan here: The Fort Erie EDTC wants the government to give the Consortia $15 million a year for six years to replace the proceeds Fort Erie gets from slots (which sits at around $8 million a year). The way I figure the extra $7 million will be used is as follows: $2 million extra to purses (this would be great and would encourage more ownership of horses), $3 million to cover losses (again, this is a must because the EDTC Consortia has no money, and $2 million to lease the track. The latter is a deal killer as far as I'm concerned. Giving Nordic one cent profit would be absolutely absurd. 6. The government (or the OLG) gives Nordic $2.5 million on a year to year basis to cover the losses of the track. This is probably the second most likely scenario, as it keeps Fort Erie open until Nordic finally lowers their price realistically enough to sell the joint (it is a bad time right now to begin with because of all the Magna tracks on the market. There are only so many outfits interested in owning a racetrack out there). Of course, if the government is really smart, they hire me to help get Fort Erie out of the red:) There are many ways Fort Erie can improve their bottom line. I need to also mention the obvious: Without racing in Fort Erie, the Niagara Region's economy will get hurt big time. For more read Perry Lefko's article in the new issue of Down The Stretch. Down The Stretch also has some early Breeder's Cup selections. John Pricci has been working overtime writing articles about what came out of the recently concluded simulcast conference. Hopefully, the articles aren't falling on deaf, dumb and blind eyes. Post payoffs faster and with greater consistency, maybe utilizing a pop-up window. Standardize payoffs. Post all $2 minimum wagers: the Pick Six, Magna Five, W-P-S, etc., in $2 increments. Post all fractional wagers--Dime Supers, Fifty-Cent Trifectas and Pick 4s--at the minimum offered. Horseplayers can do math. Stop trying to con newcomers by dangling big payoffs. Not sure I know anyone who’s ever hit a $2 superfecta. three words: takeout, takeout and takeout. Figure out a better split between tracks and simulcast venues and pass the savings along to the customer. The principle of churn is quite simple: The more money returned to players, the more they bet in return. Pari-mutuel takeout has been a sticking point for many years. Impediments to change include regulations that vary by state and arguments between exporters and importers. Tracks that have experimented with takeout reductions have had their signals pulled from some wagering outlets. When Laurel tried their 12% takeout experiment, Woodbine refused to put it on their menu. That is just one example I know about. On Oct. 13 at the simulcast conference, Jeff Gural, who owns Tioga Downs and Vernon Downs, two New York harness tracks with video gaming machines, said because slots provide about 90% of the purse money, he’s willing to experiment with takeout even though wagering pools are small...“Tracks would drop our signals." Not all tracks and ADWs would drop his signal though. And I know HANA would support this type of effort big time. Even me, someone who hasn't bet a harness race since I remember, would play his tracks. Betting menus have expanded, popular because it gives customers more choice but problematic because betting pools become diluted. With new wagers having a higher degree of difficulty, coupled with high takeout, players are busting out at a faster rate. Times being what they are, they’ve been voting with their feet. Today’s technology allows players to bet $2.43 to get back $9.17 if they wish. Pay the winners in full. There’s no good reason for breakage to exist in the modern era. The industry should have been fighting local governments for those pennies on behalf of their customers, instead of piling on. How and why lowering takeout will grow the game? The fact that the mainstream bettors will last longer. They will expose more friends family and coworkers to horse racing. For example, I had my sisters family over at my house recently, but I was on a good winning streak, and I was spending most of the day at the computer making bets. This got the interest of my brother-in-law, and my nephew and niece. Not saying that this turned them into gambling addicts, but it did perk their interest. Conversely, they were at my place 6 months ago when I was temporarily not betting because I was having a bad streak. Horse racing wasn’t even mentioned that weekend. 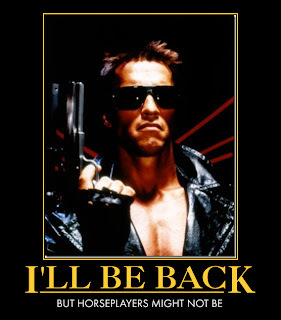 If takeouts are reduced, the likelihood of regular players like me missing a day or a weekend become close to non existent. Also, if takeout is reduced to 10-12% the idea that the game is unbeatable will be taken out by actual winners who will draw more newbies into the game (just like it works with Betfair and online poker who make their money because there are a few winners, but obviously a heck of a lot of losers who think they have a chance to win). He (Dr. Rick Arthur) cited one instance of a trainer and owner at Hollywood Park last fall "high-fiving" in front of the horse ambulance after a horse that had been claimed from them broke down in a race. In Ontario, if a claimed horse is put down within 24 hours of the claim, the new owner gets half the claim back as a rebate. I like California's plan much better. It actually might protect more horses from dying on the track. The government didn't allow slots to bail out the dying industry in this case. Nick Eaves was asked if Woodbine will be pursuing Quebec racing: "Absolutely not," Eaves told Trot Insider on Wednesday. "It's terrible what Quebec is going through, but we have our own problems that we have to deal with here." Dang right, Woodbine has their own problems here. But they have been self inflicted. Yesterday they had a total handle of just over $1.2 million in a week that they are promoting their biggest racing day of the year. It is disgusting what Woodbine's brass has done to horse racing's growth potential in Ontario by drastically overpricing their game to the consumer. Absolutely disgusting. Will Ontario's government bail out Fort Erie? The question still remains if there will be racing next year, but that was easy to predict. Next year may be a lot more difficult because the EDTC has run out of funny money to pay Nordic off to keep the track alive in 2010. Meanwhile, Fort Erie may have a car racing track by 2011. I am doubting this will happen, but who knows? The big news to specialty gamblers Monday was that Calder raised its takeout percentage on a few wagering options. The track will now take 27 percent out of Pick 3, 4 and 5 wagering (up 3 percentage points) and 21 percent from the Daily Double and Exacta bets (up 1 percentage point). Yes, they took an already high takeout rate, and made it higher. What did they expect? To make more money? HAHAHAHA Nope, they just found out how Economics 101 works. You don't raise the price for the sake of raising the price and expect to make more money. The doofuses need to read up on the basic law of supply and demand: When demand shrinks, they price (the takeout charged) needs to shrink. The mix of track execs and horsemen is killing horse racing. The horsemen want want more money NOW and they attempt to use coercion to the point that racing execs, even if they had the foresight (which most don't) to grow the game (by lowering takeout), they can't. And in fact, they wind up making decisions like the one made by Calder, that help destroy the game. The horsemen want more from a shrinking pie. I don't blame them wanting more, but they just don't seem to get the repercussions of their demands. For instance, they want larger signal fees to be charged by tracks so they can "theoretically" make more money from wagers. However, they don't seem to get that the only growing business in horse racing are the ADWs that offer rebates. By trying to squeeze out more, they wind up lowering the rebates offered, which in turn causes the price sensitive players to play less or bet with bookies offshore. There is a simple fix for owners and breeders like myself. It's a three pronged attack at raising revenues for the people that put on the show. 1. Open up all off track distribution (ADW's, internet, simulcast facilities, etc.) to anyone that wants it and pay them 5% for taking the bet. 2. Raise all takeout to a flat 30% on all bets. 3. Split the offtrack takeout 5% for bet taker, 10% for host track, 15% for horsemen.....on track takeout split 12.5% for track and 17.5% for horsemen. If we can keep betting around the $12 billion mark, that means there will be close to $2 billion available for purses instead of the $600 million we currently have. I know some people will say handle will decline but I beg to differ. We are already recovering from the horrendous economic downturn which will increase the already deflated handle. So basically, new money will easily replace any lost money if there is any. Barry Irwin said "While the takeout is onerous, it has never stopped a real gambler". This reaffirms my thoughts that people will still bet on racing because that's just the way the game works. Even if we are wrong, and handle dips down to 9 million in a worst possible case scenario, under this plan, that still gives us between $1.4 and $1.5 million for purses which is about 2.5 times more than we get now. Imagine a worst case scenario where our purses are doubled or tripled without slots. If we can get a slot subsidy on top of this, we can have purses in the same range of Hong Kong which will obviously increase betting astronomically and that will raise purses to levels of which we can only dream of. Is this a moron being serious, or is it someone trying to show how farcical owner/breeders have become with their collective industry mindset and their demands? I can't tell anymore. VEC said: "I do not believe our take out, also 22 to 24%, deters the average bettor, and certainly not a newcomer to racing. Not many at the track, or down at the local OTB complain about it." Again, this misconception keeps on showing up all over the place. True,most horseplayers don't care about takeout. Just like slot players don't care about the house edge. They never complain about it. However, Vegas started out with a very high edge on slots, but through trial and error they realized that the optimum edge is 8-10%. This means that if they doubled the edge, they wouldn't get even half the total money bet. So why is it? Because customers get blown out to quickly. They may not even realize why they don't feel like going so much, but they don't. And when they don't go so much, they are less likely to bring friends, family, neighbors and coworkers with them the odd time to expose them to the slots. Same is true in horse racing. Pricci is one of the few horse racing journalists who completely understands that horseplayers are the driving force of horse racing, and has no problem writing about it. SHHH Don't tell anyone, but despite the bad economy gambling continues to be on the rise in Canada. Well, not at the racetracks though. Maybe one day they'll wake up and understand that it is the onerous takeouts that prevent horse racing from growing. I have a feeling it won't be under Willmot's watch. Under a new appropriations law that went into effect Monday night, the total parimutuel takeout on racing in Rhode Island is now 16 per cent. The additional 1 per cent is split evenly between the state and the track. The state receives 8 1/2 per cent and the track 7 1/2%. The new tax went into effect with the races at Lincoln Downs Monday night. In Massachusetts and New Hampshire the takeout is 14 per cent. Vermont is the highest in the nation with an 18 per cent tax followed by Maine with a 17 nick. Stands were full back then. Bettors had fewer betting options, win, place and show, a couple of exactors a day and a daily double. Many left the track with money in their pockets, enough to entice them to go back as soon as possible. One of the better arguments to today is how does a track rationalize charging more for triactors and other exotics? It doesn't cost them more to print the ticket or to take the bet at a terminal or online. But the reality is that the exotics with the highest takeouts really kill bankrolls and ultimately discourage bettors from playing as often. I don't have the numbers, but I'm pretty sure takeout at the ORC track (Woodbine, Fort Erie, and Greenwood) were something in the neighbourhood of 14-16% tops. And the government was taking around 7.5% back then. Nowadays, Woodbine's average takeout is closer to 21%-22% and the government only gets 1.3% on each wager. Did Chantal Sutherland recently have botox lip injections? It sure looked like yesterday on The Score. Open an account and receive a 20 % match on your initial deposit! Restricted to new customers only. Customer must play at least their initial deposit amount within 14 days of opening the account. Maximum deposit eligible for promotion is $1000. This promotion is not to be combined with our standards rewards program which will begin after the initial deposit amount is wagered. Other restriction may apply. One of the biggest complaints from horseplayers over the last few years has been not knowing if a race is still on the turf or if the race was taken off. Track conditions, late changes and even part of the entry changes has also been a source of contention, especially to online bettors. Thanks to a meeting in the spring between HANA and Equibase, this particular gripe is now a thing of the past. Leaving it to racing execs who should have known about this problem for years, did nothing for the horseplayer. 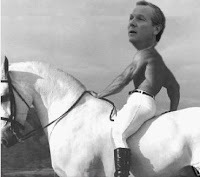 Simply, racing execs are out of touch with horseplayers. Current day scratches and program changes from racetracks throughout North America are now available throughout the day in a dedicated section of equibase.com, it was announced Oct. 1 by Equibase Company president and COO Hank Zeitlin. Equibase developed the new service in conjunction with racetracks and with feedback from the Horseplayers Association of North America. Besides having access to the latest scratches, horseplayers can now obtain other critical updates such as when a race has been moved from turf to dirt, distance changes, jockey changes, and amended wagering options on equibase.com. They can also register to receive an RSS feed for each track they are playing, enabling instant delivery of information to desktops and mobile devices. These scratches and program changes are updated live from the racetrack via eBase®, Equibase’s proprietary Internet-based data collection system. Designated personnel at the live track can now use eBase to enter the day’s scratches and program changes until one hour before post time for the first race, at which time Equibase chartcallers assume responsibility for entering subsequent changes. “Making it easier for horseplayers to acquire pertinent information such as scratches and program changes is simply good business and the tracks are happy to participate in this new arrangement,” said Chris Scherf, executive vice president of the Thoroughbred Racing Associations of North America. The “Today’s Scratches & Program Changes” webpage was deployed Sept. 29 and is accessible via a link on the equibase.com homepage. The current day scratches and program changes are also available for electronic retrieval, which enables value-added resellers, tracks, and other industry organizations to provide timely changes and scratches to their respective customers. Prior to HANA forming just over a year ago, horseplayer gripes and ideas usually fell on deaf ears. Things are changing. There is a lot happening behind the scenes. Being a board member, I'm involved in a weekly conference call, where we tackle many issues and devise strategies to tackle current issues. We've done more than can be seen by the naked eye, and recently, some tracks have actually approached us for our ideas in an effort by them to grow their product. Our main goal is the same as most racing exec or horsemen group. It is to grow the game and attract more betting and bettors. Except we know how to do it. Racing execs and horsemen groups have their collective heads in the sand when it comes to this issue. They just don't understand that horse racing is gambling first, without the horseplayer there is nothing. Our ideas go against "their conventional wisdom," which by the way is failing miserably of late. It isn't the 1950's anymore. HANA still needs bigger numbers in membership to make more things like this happen. If you are not a member yet, please click here, and sign up (it is free). The more horseplayers we have as members, the more clout we have. A couple of new threads have been started at Pace Advantage worth looking at. Hopefully, they'll be more additions to each. some cases racetrack board members are prohibited from wagering. ABOUT GAMBLING' and not a Sport of Kings! Horseracing’s Day of Atonement is long overdue....."
"Horseracing needn't look any further than the internet where online poker has taken young adults from all over the world by storm. What, might you ask, does poker have over horseracing? Certainly not excitement (grinding poker can be quite boring). Certainly not intellectual challenge (although poker is quite close!). And certainly not the chance to make a quick score (to make a quick score (1K+), you might have play for HOURS online in a single tourney). Nope, none of the above! What horseracing lacks is at the heart of fundamental economics: THE LACK OF A PERCEPTION THAT IT IS PROFITABLE! Why do the young kids play poker? Because they perceive that if they work hard enough at it, they will eventually become +EV long term. NO SUCH NOTION exists with horse racing. Consider that you can find online training sites for poker ad nauseum. Just do a quick Google (or in deference to your contributor, a Yahoo! search) for "online poker training" and you will find some outstanding training sites for relatively little money that can have you near-profitable in a couple of months of hard study. NOTHING like this exists for horseracing; instead all you get is people peddling lousy tips, speed figures, and for the most part, useless or superfluous information. In addition, you can go to NUMEROUS sites online that list DOZENS of winning "poker pros" whose results are documented and posted. I challenge you to find and list FIVE "horseracing" pros that are profitable and whose names are public. Oh, these five may exist, but no one knows of them, and more importantly, because no one knows of them, they cannot help the sport attract what it needs: interest from young people that think or believe they can beat the game in the long run. The solution to racing's woes is obvious: make people believe that they can win money long term by betting horses. NOTHING MORE and NOTHING LESS. If this was done, the issues of admission, the cost of a DRF, the odds changing after the bell, the drugs, the "super-trainers", field size, and all other "issues" would magically disappear. Easier said than done,isn't it? And with that, sir, I proclaim the eventual slow death of racing as the cancer of takeout metastasizes and brings it to its Hospice in the caverns of Belmont, Hollywood Park, and Churchill Downs. Good luck at the windows and thank you for your time." "I can tell you the first time I played off shore and received a rebate, it was like night and day. All of a sudden, my small bankroll seemed to last longer. No other business treats it’s customers with such contempt, than that of horseracing. It is really actually quite sickening. Horsemen and people within the industry need to give their collective heads a shake, and understand who puts food on their tables...... So, keep takeout stagnant, or better yet even increase them, it will be your own demise. I’m a gambler, I’ll bet on other things. What are you going to do, train gophers? Own show hogs?" "Mr. Pope’s opinions epitomize thoroughbred racing’s perspective: When times get tough the boys at the top sit around figuring out ways of charging the customer more money for less product. In an age when the main concern should be finding ways to cost-effectively GIVE the customer more for his money they are simply concerned with finding more ways to TAKE. The picture that comes to mind is jackals and hyenas looking down on an ever-dwindling herd of wildebeast. What happens when the heard is gone, boys?" "Cangamble, people like you should probably stick to the little league that is Canadian racing. Clearly you just don’t know what you’re talking about nor do you have any clue what would work in big league racing. So why not head on back to the home of the Queen’s Plate (or the Canadian-bred, non-winners-of-2, if you can’t tell the difference) and let real people discuss the complexities that actually matter and relate to horse racing on a major circuit. Most of the “words you’ve posted” either do not make sense or are not applicable whatsoever to horse racing of a significant nature. With lesser-thans such as yourself continuing to spout your idiocy, the game of horse racing (even in little league status, such as that which you follow) simply cannot and will not “grow” (as you imply you would like) because the numbskulls quite clearly will not get out of their own way. That makes you a walking, talking, oxymoron, who is no more significant than the next internet troll (another definition into which you clearly fit, based on your brainless expressions at this and every other racing blog you can get your browser on). Finally, this is in no way “my problem”, for you are the only one here who constantly crows about the take-out. Obviously nobody who is active in horse racing pools really cares about take-out, as at its core, mutuel take-out on American horse racing has been quite steady since the 1970’s. Furthermore, anyone cognizant of the WPS take-out of roughly 16% being too high in the 1970’s, now has many, many more multi-race options on which the effective take-out is much, much lower. Why can’t you get it through your head that the take-out is much less significant today than it was in the 1970’s? Cangamble, why don’t you make it your next mission to try to find a thoroughbred track in Quebec? Maybe that is one significant difference between life in your minor-league world today vs. what you knew in the 1970’s. And stay out of the major leagues, Cangamble, for obviously the big show is no place for neophytes." Speaking of Woodbine. They are now guaranteeing a $50,000 pool in their first Pick 4, which starts in the fourth race on Saturdays and Sundays until the end of the meet. I checked and found that they had $50,000 plus pools in each of at least the last six weekend cards anyway, so this is pretty much guaranteeing that it will be dark outside at midnight. Note to Woodbine and Fort Erie: How about a 15% Pick 3 every race? Give it a shot. I can pretty much guarantee that Woodbine would have done better than the $1.3 million in handle they did today (Thursday) if they decided to do something that was really horseplayer friendly. Speaking of horseplayer friendly. HORSEPLAYERSBET.COM just added Oak Tree at Santa Anita to the betting menu. 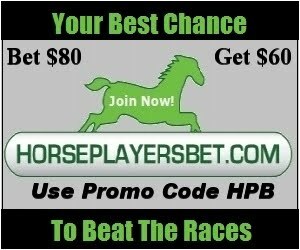 About Horseplayersbet.com: Horseplayersbet offers one of the most competitive Player Rewards Programs available for horse racing product. At Horseplayersbet, even the smallest bettors have the potential to become the biggest. Fort Erie announcer Peter Kyte just took the Western Fair job in London, Ontario. He didn't announce at the Fort on Tuesday because he had a baby due. Not sure if this means he won't be the Fort Erie announcer next year IF the track does defy the odds and remain open.